Of course, every soccer player, certainly if he had reached a certain age, was willing to earn some dollars in the North American Soccer League (NASL) And so the league was cramped with foreign players. Some of the best (Pelé, Johan Cruijff, Franz Beckenbauer and George Best), and a lot with far less claim to fame. Fifty years earlier in the American Soccer League, foreign players also were very keen on playing in the United States and earn a few dollars. With the start of the American Soccer League in 1921, the United States had one of the first professional leagues in the world. England and Scotland were way ahead, Austria (1924), Czechoslovakia (1925) and Hungary (1926) came later. Of course, a professional league isn’t a quality league overnight. The best thing to do, to increase the level of play, was getting players from abroad to compete in the league, so that Americans could learn from them. This article takes a countrywise approach, naming lots of foreign players that were responsible for the first heyday of American soccer. This first part covers players from Austria, Czechoslovakia, Egypt, England and Germany. In the second part players from Hungaria, the Netherlands, Northern Ireland, Norway, Republic of Ireland, Scotland and Sweden will be covered. During the roaring twenties, Austrian soccer was among the best in Europe. One of the best teams in their league was SC Hakoah Vienna. It was a Jewish club for Jewish soccer players, who were not allowed to play for other soccer clubs. Anti-Semitism was already rising in central Europe in those days. Still, Hakoah Vienna managed to take the league title in 1925. One year later, they travelled to the New York area to play some friendly matches. They only lost once in seven matches. The players were pleasantly surprised by the lack of anti-Semitism during their tour and by the high wages, so nine players decided to stay in the States and play in the American Soccer League. In total even a few more travelled to the States from Austria, below I’ve collected some data on most of them. 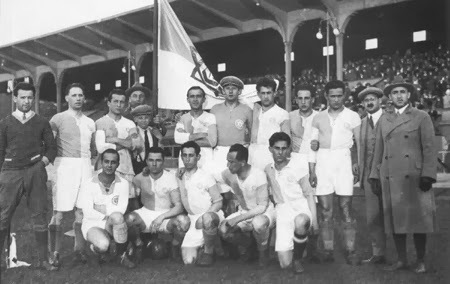 Most of the Austrian (and Hungarian) players went playing for New York Giants or Brooklyn Wanders, a few years later they nearly all played for their own club: Hakoah All-Stars. Although strong teams, neither of them ever won the league. 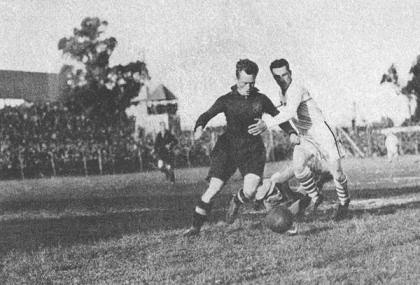 Best performance is Hakoah All-Stars winning the National Challenge Cup in 1929, with Leo Drucker, Moritz Hausler, Max Grünwald and Siegfried Wortmann in the line-up. Austrian champion with FAC in 1918, with Amateure Vienna in 1924 and 1926. Other Austrian players in the ASL include Rudy Kuntner, Josef Schoenfeld and Gustav Pollak. Although Czechoslovakia started their own professional league in 1925, still some players were very keen on playing in the American Soccer League. Six times international Pavel Mahrer for example, who played for Brooklyn Wanders in the 1926-27 season (17 matches, no goals). After that he returned home, but came back to play another 93 matches (4 goals) in four seasons for Hakoah All Stars. 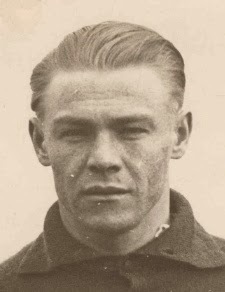 Frantisek or Ferenc Szedlacsek (two caps for Czechoslovakia, one for Hungary) even had a better reputation when he accompanied Mahrer from DFC Prague to Brooklyn Wanders. He only managed to play in five matches, scoring three goals. After that, he went playing for Hungarian side Ferencvaros, winning the league in 1928 and 1932. Third and last Czechoslovakian player in the ASL was Samuel Schillinger, who was capped four times and also was a member of DFC Prague . He played for New York Giants, during the 1927-28 season (35 matches, no goals). Just after the First World War, Egypt had a decent national team, and competed in the Olympics in 1920. One of the players that stood out was Tewfik Abdallah. To study engineering, he moved to England. But he was picke dup by Derby County, where he made his debut scoring a goal in a win against Manchester City. After this fine start things got mediocre. He moved from club to club, to finally pack his bags and started a new career in the American Soccer League. His main club in the States was Providence Clamdiggers (three seasons, 62 matches and 24 goals), but he also had stints with Fall River Marksmen, Hartford Americans and the New York Nationals. While it is impossible to count the Scottish players that were lured to the American Soccer League, English players were far more reluctant. Of course, one of the reasons being that wages in the United States were better than in Scotland, but not as good as in England. Still, it could be fifty players or even more, that eventually did try the American dream. I’ll just name five that were instrumental. Harold Brittan should be the first to mention. He was not a big success with Chelsea, where he played from 1913 until 1915, or even after the war in the 1919-20 season. As most of family already lived in the United States, he decided to go there as well. He started playing for Bethlehem Steel, and after a year changed to Philadelphia Field Club, That was the first season of the American Soccer league, 1921-22, and Brittan immediately took the title and was crowned top goalscorer with 27 goals in 17 matches. He kept on scoring goals(his total in the ASL is 135) and collected another three titles with Fall River Marksmen in 1923-24, 1924-25 and 1925-26. After sixteen years in the blue and white of Everton, Sam Chedgzoy also decided to cross the ocean. Chedgzoy was an English international player (8 caps) and very experienced. Although already 36 years at the start of his adventure, he still managed to play 164 league-matches during four seasons in the ASL. Billy Hibbert was even older, as he was born in 1884. He played for Bury and Newcastle, and earned an English cap in 1910 against Scotland. He mainly played for Pawtucket Rangers (four matches, one goal for Fall River Marksmen) and collected sixty ASL-matches, scoring 25 times. Sam Fletcher wasn’t really a star of the ASL, his best days in US soccer were in the years before. Fletcher tried his luck in the United States as a twenty-year old, in 1910. He soon starts to play for Bethlehem Steel, in the Allied Ameican Football League. Fletchers trophyroom is huge. In seven seasons he collects six titles, four National Challenge Cups and four American Cups. He plays for Erie AA, Newark Skeeters and Providence Clamdiggers until he is 39 years old, still collecting 90 ASL-matches. George Moorhouse failed to make an impression with Leeds United and only made two appearances for Tranmere Rovers, when he was just twenty years old. That all changed when he emigrated to Canada in 1923. Only a few months later, he played three matches for the Brooklyn Wanderers, before being transferred to the New York Giants. A total of 241 ASL-matches and 46 goals is impressive, but his biggest accomplishment is playing for the national team of the USA, starting with a 6-1 victory over Canada in 1926. He topped that when he was on the pitch on July 13, 1930 to play Belgium in the World Cup in Montevideo. His three appearances in Uruguay made Moorhouse the first English-born player to compete at the World Cup ever. While Germany is a household name in soccer for decades, that wasn’t the case during the roaring twenties. With no national league, the standard of play was low as big clubs had it far too easy winning their matches. So just a few German players got the chance to play in the ASL. Herman Bleich wasn’t a regular for his teams and only managed 48 ASL-matches in five seasons, Max Soehl only played seven maches for Fall River in 1930. Josef Grünfeld is in fact the only German with some kind of career in the ASL. As a youngster he was a member of the Hakoah Vienna team in 1919-20, and again in the 1929-30. Inbetween he played for German side Stuttgarter Kickers and others. He spent two years in the ASL playing for Hakoah All-Stars and collecting 63 matches in which he scored 23 goals.